First off, I would like to give a huge thank you to all my past supporters. Your support over the past 5 years really makes participating in the walk more fun! The walk is on September 12th. And I’m excited to say that Koa and Rhiannon will be joining me this year! Together we are Team Starkiller! The walk might be a little far for Koa, but we’re starting our training now. The purpose of this event is to raise much needed funds for the care and protection of animals across the province of BC. All animals. The BC SPCA helps look after all our furry little friends – including wild and farm animals – because they know all kinds of animals are important. Established in 1895, the BC SPCA is a not-for-profit organization that receives no government funding and is entirely reliant upon community support. Each year the BC SPCA provides emergency medical care and sheltering for nearly 30,000 animals that may have been abandoned, abused, neglected, or surrendered because their owner is unable or unwilling to care for them any longer. This annual walk funds most of the BC SPCAs operations. The BC SPCA is the only animal welfare agency with the mandate and authority to respond to complaints of animal cruelty in B.C. Last year, the BC SPCA conducted 8.849 new cruelty investigations. Which is over a thousand up from the previous year. 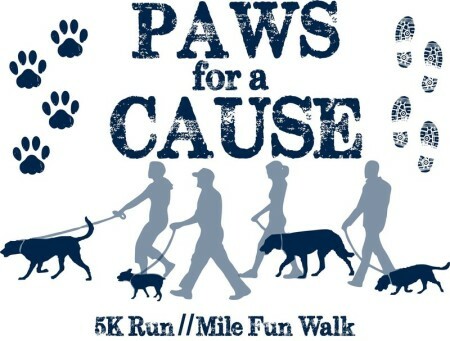 The Paws for a Cause walk helps fund cruelty investigations and, more importantly, helps to prevent cruelty before it occurs through legislation, education, and awareness. Please support me, and the BC SPCA, by donating today! Don’t be shy if you can’t afford tons of bucks. Every little bit helps. Even a single dollar will work to educate one student through the “Kindness Counts” curriculum helping to stop the cycle of abuse by teaching empathy. This organization works hard to streamline its admin and overhead costs. 80% of the funds raised goes directly towards services for animals. With the other 20% going to admin and revenue development. -Make a donation! Donations of $20 or more will get a tax receipt. -You can walk with us! -You can volunteer to help out at a walk location near you! -Spread the word about the walk! -Spread the word about the SPCA and the good work they do! -Teach people about animal welfare! This entry was posted in animals and tagged animal, BCSPCA, cruelty, donate, paws for a cause, spca, support, walk, welfare. Bookmark the permalink.